Mahindra Electric, the electric mobility division of the USD 17.8 billion Mahindra Group, today announced the launch of its innovative new eVerito – the all-electric, zero-emissions sedan. The eVerito would be available in key cities like New Delhi, Mumbai, Bangalore, Pune, Kolkata, Chandigarh, Hyderabad, Jaipur, and Nagpur with immediate effect. It will be priced at Rs. 9.50 lacs (ex showroom Delhi, for D2 variant, post state subsidy and FAME incentive). Powered by the latest electric drivetrain technology from Mahindra Electric, the direct drive single speed transmission eVerito can be charged at home as well as quick charged in 1 hour and 45 minutes through fast charging technology. On a full charge, the Mahindra eVerito can travel for up to 110 kms (based on vehicle loading) and can achieve a top speed of 86 kmph. Its running cost is an incredible Rs 1.15/km*. The eVerito also features Boost Mode and Telematics which include real time and immediate assistance wherever the vehicle may be. The eVerito is an embodiment of Mahindra’s vision of the ‘Future of Mobility’ which includes the framework of Green, Connected, Convenient and Cost Effective vehicle technology. As the pioneer of electric vehicles and integrated mobility solutions in India, it has always been our endeavor to make electric vehicles more accessible and the eVerito is the first electric sedan in our portfolio. With issues like environmental degradation, pollution-related challenges, climate change and energy security, there has never been a better time to switch to electric vehicles. According to Arvind Mathew, Chief Executive Officer, Mahindra Electric. The eVerito is an innovative combination of advancements in automotive, electronics and information technology, paired with minimal running costs and zero tailpipe emissions. It is the perfect family car for intra city use. I also truly believe that each of us is responsible in our own way for being more sensitive toward the environment and should embrace new technologies that are green and sustainable. I am confident that India will make that paradigm shift in lifestyles – towards electric mobility solutions that are driven by progressive Government policies. The eVerito will be available in 3 variants and is built to high standards of safety and reliability. It can be the preferred option for consumers looking to switch to clean, smart and economical personal mobility solutions. The Mahindra eVerito can be purchased from select Mahindra dealerships in key cities including New Delhi, Mumbai, Bangalore, Pune, Kolkata, Chandigarh, Hyderabad, Jaipur, and Nagpur. 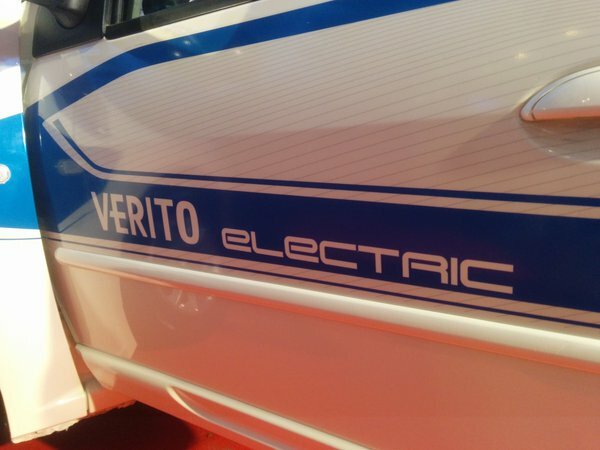 Zero Emissions: Being an electric vehicle, eVerito has zero tail pipe emission, in fact it doesn’t even have a tailpipe. 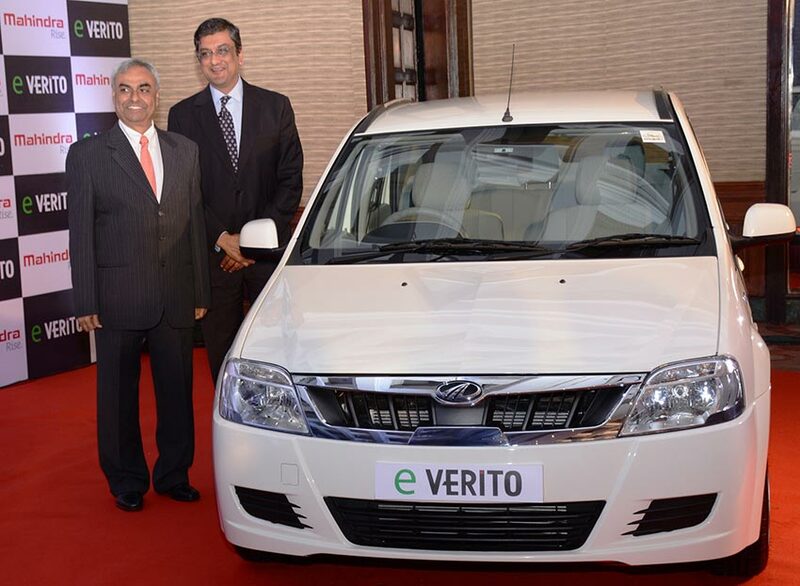 This means unlike many alternate fuel vehicles including CNG or Hybrids, the eVerito is completely emission free. Regenerative Braking: Regenerative Braking is a highly efficient process that has been brought to India for the very first time by Mahindra Electric. It is a technology in which every time the brakes are applied, energy is recovered back into the motor, giving the vehicle an extra bit of charge, and in some cases a few extra kilometers of driving range. Telematics: Telematics helps capture more than 190 vehicle performance parameters which enables remote monitoring and diagnostics. Customers receive monthly statistics on Charging Patterns, Distance Travelled, Co2 saved, ECO points earned, fuel saved, etc. REVIVE: Revive® is a first in the world feature by Mahindra Electric. On the rare occasion that the car runs low on energy, Revive® can be activated to gain an extra 8 km of range, to help the user reach home or the nearest charging station. Intelligent Energy Management System: The IEMS in eVerito calculates SOC (Status of Charge) and Distance to Empty, ensures optimum range, monitors battery voltage, current temperature and communicates with the Telematics gateway to create an external interface. Direct Drive Single Speed: The direct drive transmission eliminates the clutch and gives driving convenience that is similar to an automatic transmission vehicle. Now cruise through bumper to bumper traffic effortlessly. Home charging: Charging at home is as simple as charging a mobile phone. Plug it into a 15 Amp plug point and get 0-100% charge in just 8 hours, 45 min*. Hill hold: A unique feature which prevents the car from rolling backwards on an incline. *Considering cost of electricity Rs 7/unit. The car needs 18 units for full charge, and has a range of 110km. Lithium ion batteries: The eVerito comes with a 72V battery pack of long life, maintenance-free Lithium-ion batteries. Forward/ Boost mode: The eVerito is equipped with a Boost mode for extra power. Low Maintenance: With no engine or clutch the eVerito has a fewer number of moving parts and as a result has lower maintenance costs.